Dr. Mohan Sinha Mehta Memorial Trust in coloration with M.L.S. 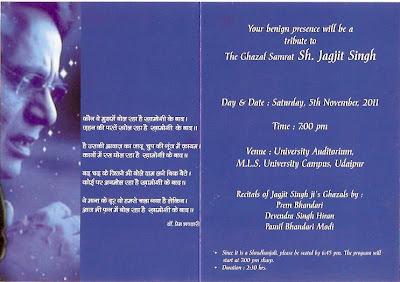 University, Rotary Club, Naad Brahm, Adbi Sangam, Rang Trang Sansthan , Music Lover’s Club and Purple is planning to organize a Ghazal Programme “Remembrance” . 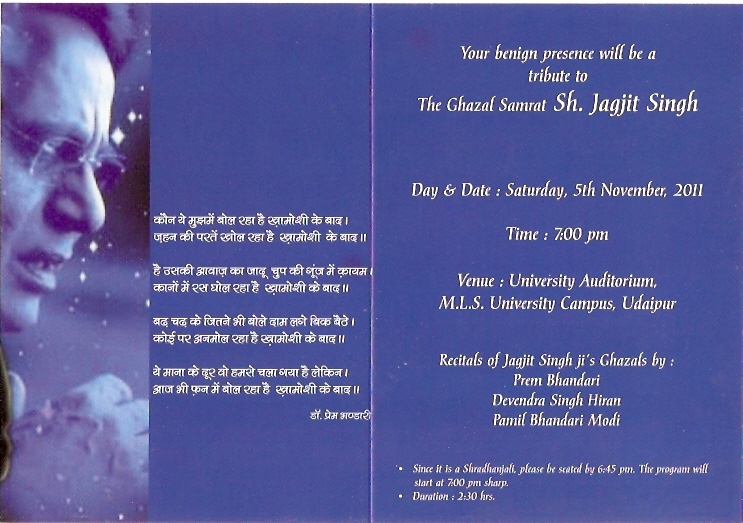 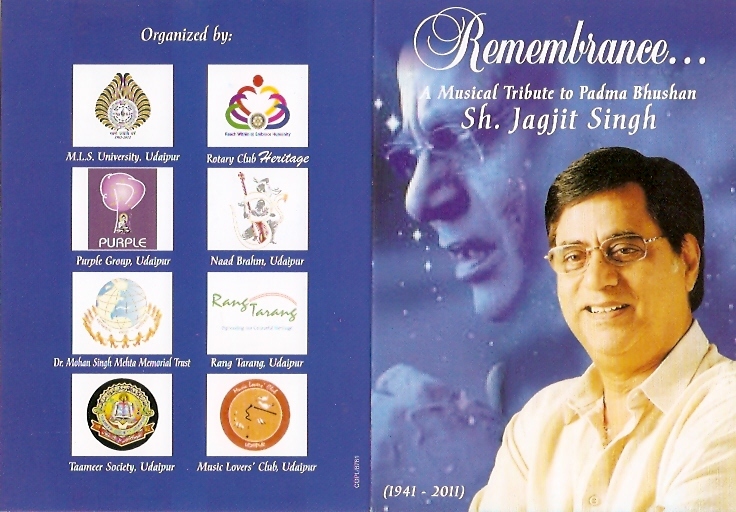 A musical tribute to Ghazal Samraat Jagjit Singh on 5th November 2011 in which Dr. Prem Bhandari , Dr. Devendra Singh Hiran and Dr. Pamil Modi will be performing.This is purely a non commercial programme which will be volunteered by the above mentioned organizations.The venue of the programme is Sukhadia Auditorium University campus and the time of the programme is sharp 7 P.M. on Saturday 5thNovember 2011.